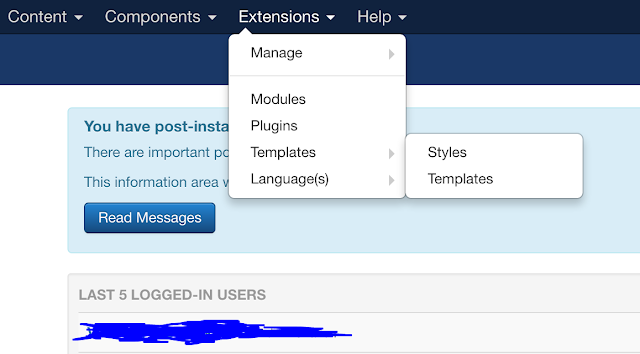 So we look at the first way of overriding the Joomla layouts via administrator. 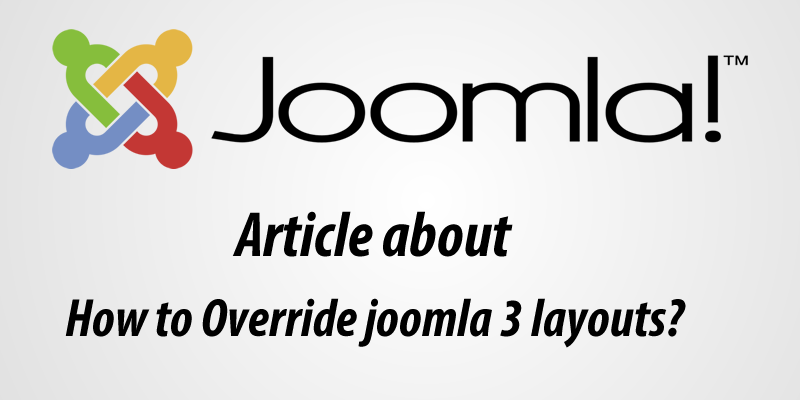 Below we have the step by step of Joomla3 layouts override. After login you find the “Extensions” menu at top. Click the menu you will be seeing the list of Extensions list. 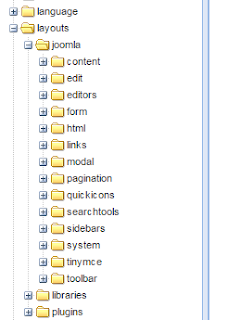 Mouse over to “Templates” menu and it open the submenu “Style” and “Templates”. Click Templates. Find the screenshot of the step that mention above. 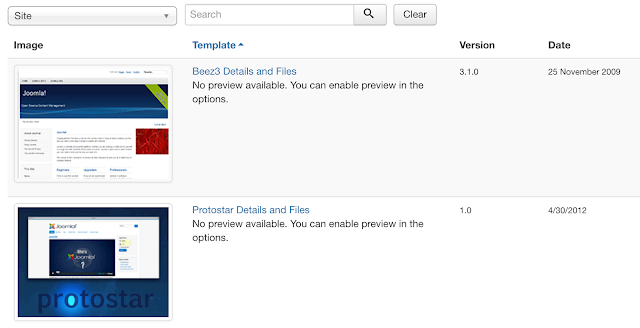 After the “templates” page opened, Chose the template where the layouts to get override. Find the template screenshot below. Once the template customize page opened, click “Create Overrides” tab. 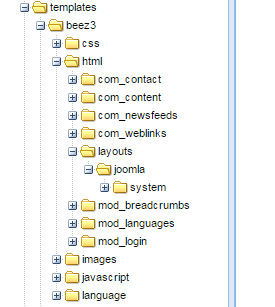 There we find the option to override Modules, Components and Layouts. Find the screenshot below. From the “Layouts” column click the layout which you want to override. Once you click the link under the “Layouts” it will create the override option under the selected templates. Find the screenshot below. 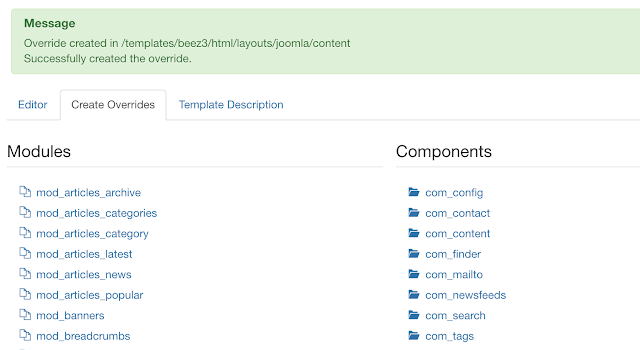 Override the Joomla 3 layouts via copy paste method. 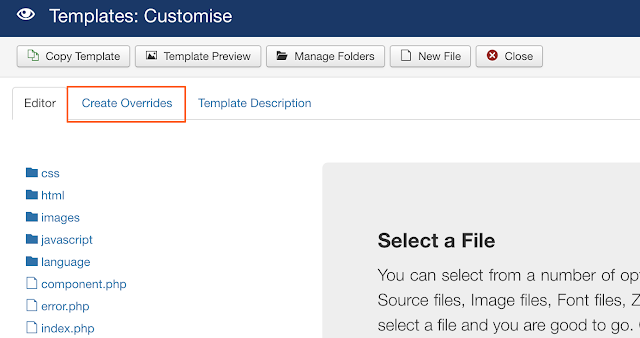 Navigate the folder “templates->[your_template]->html->layouts->joomla” paste the file under the “joomla” folder. Once you past the files to the folder, the manual override is successful. Find the screenshot below.